Enter our Glasgow wildlife photography competition for your chance to be part of an exhibition at the Kelvingrove Art Gallery and Museum. It’s possible to have a wildlife encounter, even in the heart of Glasgow. 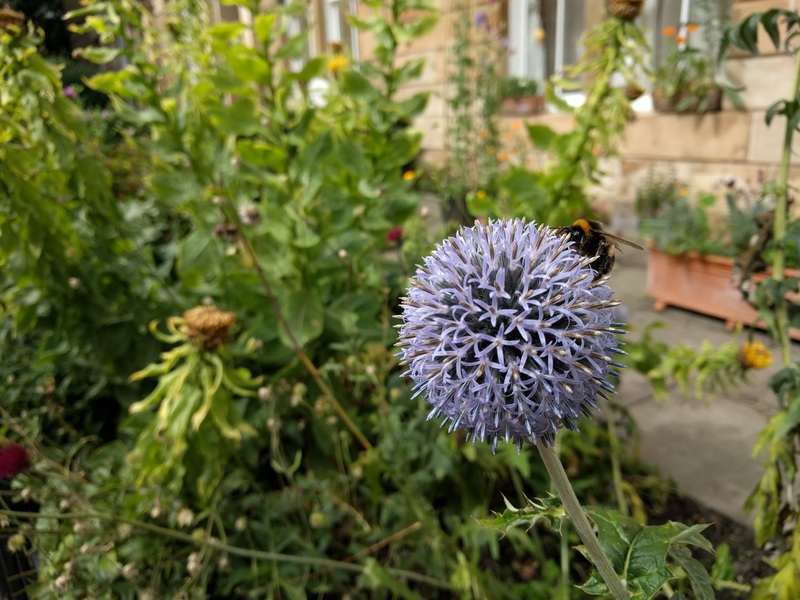 Our greenspaces, urban parks, rivers and gardens, all provide oases for a huge range of creatures which live, feed and raise families under our very noses. You may see the same heron standing in the same spot day after day, or have nightly visits from a fox with cubs. You may spot an amazing beetle climbing a wall, or catch sight of brightly coloured butterflies flitting among the flowers as you walk through a park. And you may just have been tempted to take out your phone and snap a quick picture. If you did, then we’d love to see it, as we’re celebrating the end of our Dear Green Futures project with an urban wildlife photography competition! The winners will see their photos displayed as part of an exhibition in the Kelvingrove Art Gallery and Museum this May (more on that in a future blog). Photographs must have been taken within the City of Glasgow and pictures of domesticated plants or animals are not eligible. Remember also when taking a photograph of any wild creature, to respect your subject matter. Getting that perfect shot isn’t a reason to disturb or distress the wildlife you’re trying to photograph. The closing date for the competition is April 21, and entries should be sent to gnahg@rspb.org.uk.